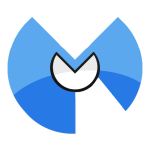 Malwarebytes Anti-Malware's industry-leading anti-malware and anti-spyware scanner detects and removes malware like worms, Trojans, rogues, spyware, bots, and more. Anti-rootkit technology drills down and removes deeply embedded rootkits, one of the most dangerous forms of malware. If you've got malware on your computer, Malwarebytes Anti-Malware will destroy it. Restoring your computer to its former glory. Three proprietary technologies—signature, heuristics, and behavior—automatically guard you and your online experience from malware that antivirus products don't find. Real-time protection detects and shields against the most dangerous forms of malware. Breathe easy. Automatic scanning does the work for you, so you never have to worry about getting infected. Your computer and all its data stays safe. Run a scan in the background while you boot up your favorite PC game. It's done by the time you're ready to play.